You love your girl friends so much. They are the best friends that you have. In fact, they are like your sisters. You are there for each other. Not only emotionally and mentally but also physically too. So when your girl called for help, you didn’t think twice to respond. The sassiest girl in the group is in trouble. You have to help her to escape from trouble. However, that is not an easy thing to do. There are so many puzzles that you need to solve before you can finally help her. The good news is, there are clues that can help you with those.You will do anything for your friends. You can’t leave them specially on their bad time. With that, you have to use your logic to rescue your friend as soon as possible. Thankfully, there are items around the place that can help you to solve the puzzles that you will encounter. Your friend is counting on you and you can’t let her down. 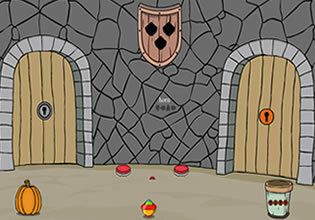 Try to solve all the puzzles quickly. Sassy Girl Rescue is the newest point and click room escape game by Games 2 Jolly that will test your logic. Good luck and have fun!